Are you in need of a commercial plumbing repair or remodeling plumbing contractor in ( Fort Myers, San Carlos Park, Estero, Bonita Springs, Naples), FL area? We are the premier plumbing contractor in Southwest Florida for any plumbing service. We have the professional commercial equipment to quickly solve any plumbing service or clogged drain at your restaurant or place of business. At Moen Brothers Plumbing & Drain we realize your goal is to get your restaurant or place of business up and running as fast as possible to serve your customers. We are your 24 hour a day emergency plumber. We try to stay out of sight and out of your employees way so you can conduct business as usual. Our technicians are not paid commission so you can trust your plumbing service diagnosis to be only what necessary. We have 100% no obligation free estimates and upfront pricing. Our drain cleaning, plumbing service and sewer camera inspections are available 24 hours a day. Trust Moen Brothers Plumbing & Drain to be your commercial plumbing contractor in (Fort Myers, San Carlos Park, Estero, Bonita Springs, and Naples) for any plumbing repair, clogged drain or remodeling needs. Frustrated by getting the other companies answering machine or answering service after hours? We understand your need to quickly speak to our emergency plumber. 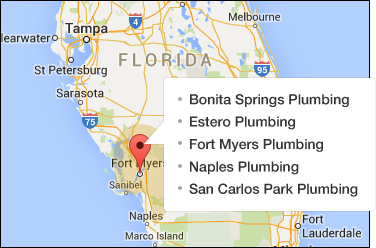 A (Fort Myers, San Carlos Park, Estero, Bonita Springs, Naples) plumber will answer your call at any hour.